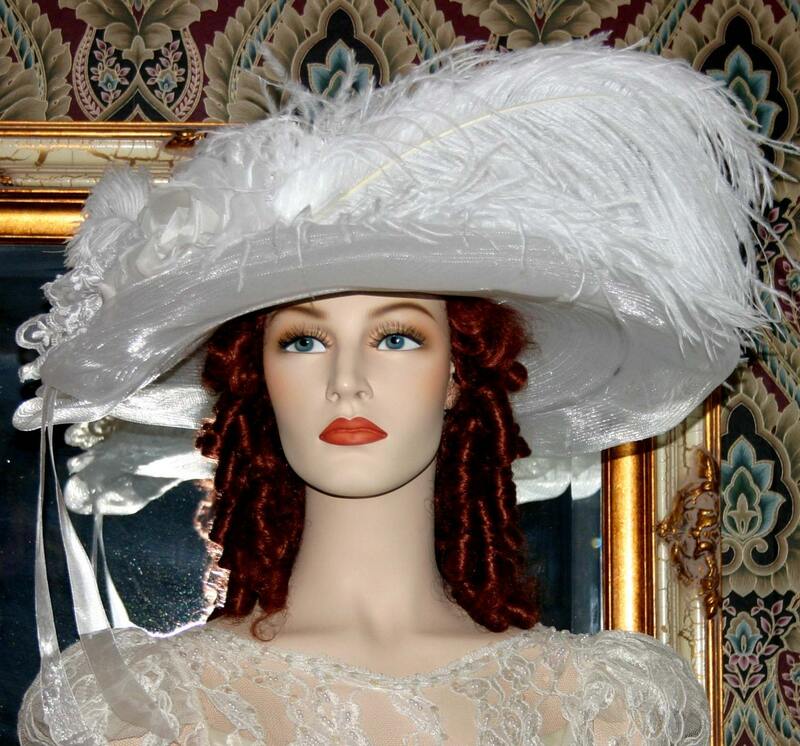 Edwardian Hat "Lady Ophelia" is a perfect hat for a Downton Abbey Tea party as well as it makes a beautiful Kentucky derby hat or Ascot Hat. 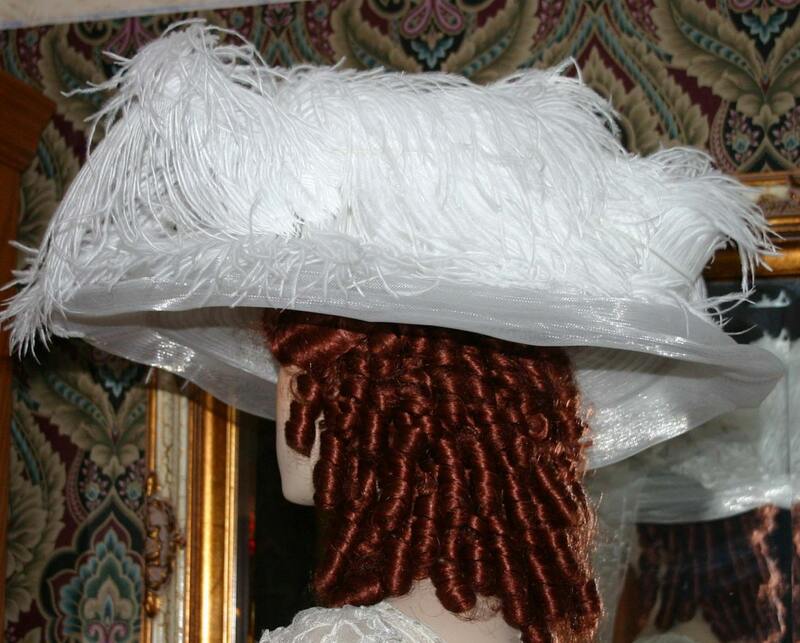 It's designed over a 20" wide brimmed designer horsehair hat. 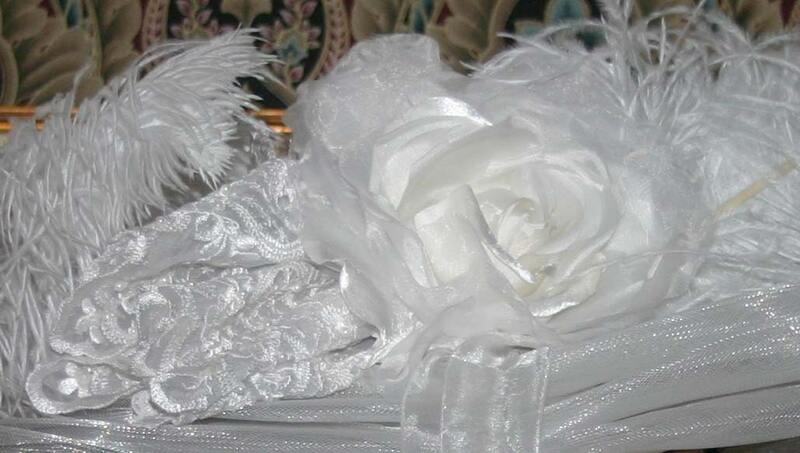 The hat is adorned with an absolutely gorgeous hand made white organza rose accented with white organza ribbon. The crown of the hat is wrapped in white embroidered pearl sequin lace and this same lace is the accent with the rose. 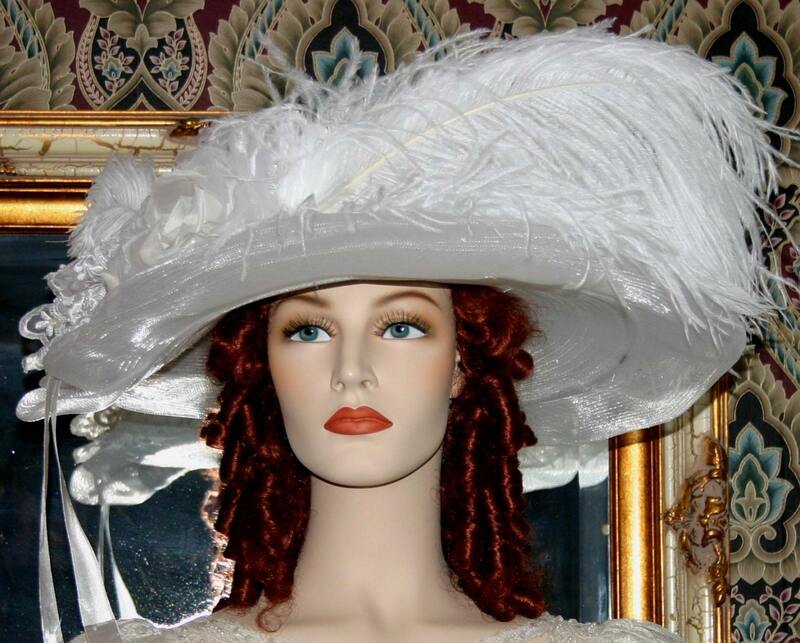 Three huge elegant white ostrich feathers wrap gracefully around the crown. 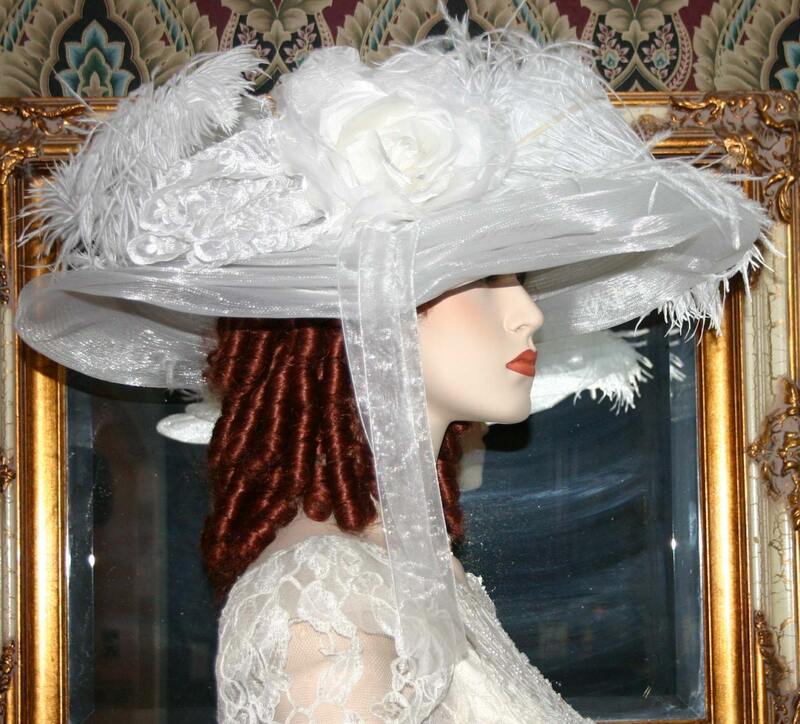 This hat is perfect for Kentucky Derby, Tea Party, Easter or Wedding!